Constructed from a grain leather with a smooth rich dull lustre that is free from all surface imperfections. A firm handle that will relax with age. 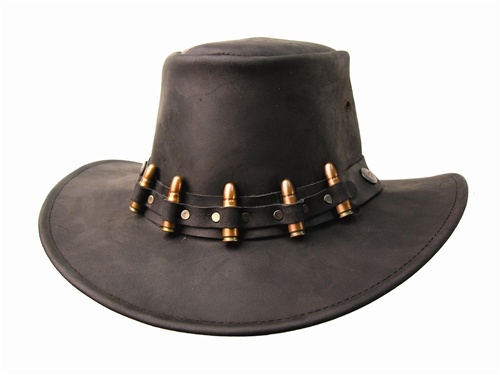 Features a ammo belt hat band. Large crown, medium brim.